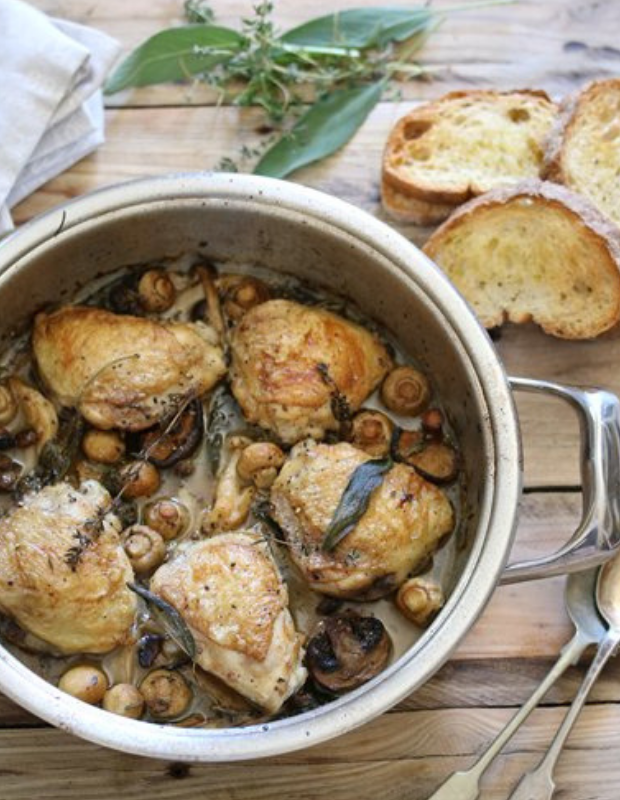 One-pan chicken takes on 5 different luscious flavours. 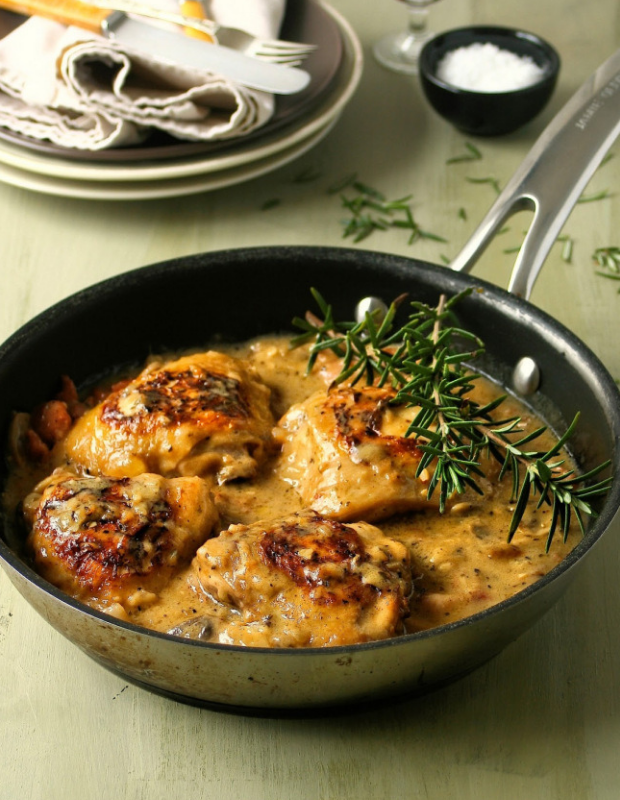 Chicken is a versatile dish and a firm family favourite! What makes it even more desirable are all the wonderful flavours it marries with. 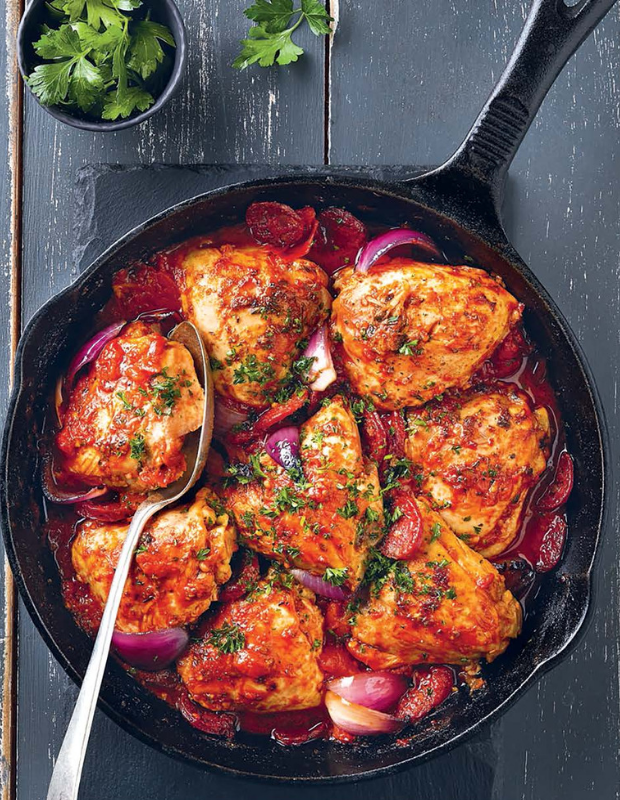 From classic creamy lemon and herb to fiery chorizo and paprika, there’s not a flavour combination your one-pan chicken can’t take on. 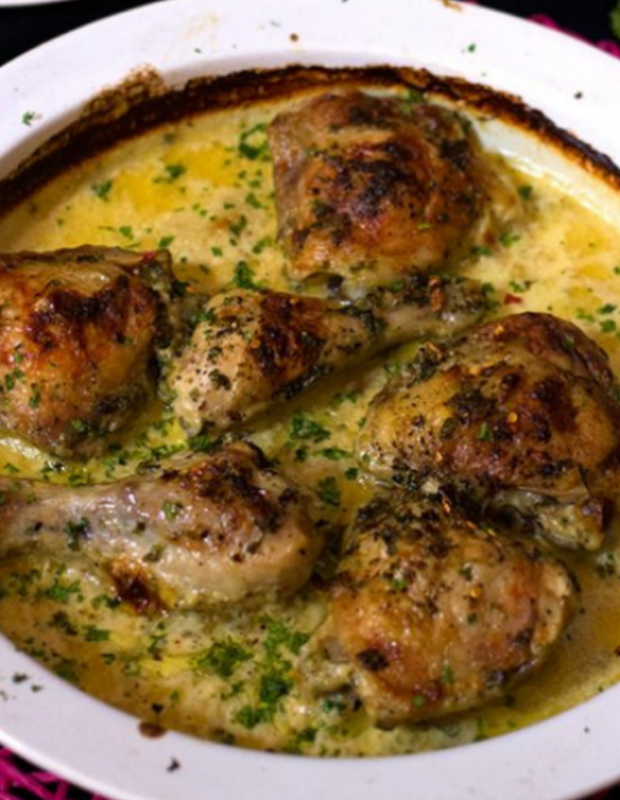 Using thighs and drumsticks makes for a succulent and tender result. For a wonderfully creamy affair, this lemon and rosemary chicken is great served with cauliflower rice or seasonal roasted vegetables for a carb-conscious meal. This deliciously golden roast chicken in a spicy garlic cream sauce will soon become your go-to chicken recipe. Indulgent, comfort food at its best. The oven does all the work for you, making this the perfect recipe for busy days. 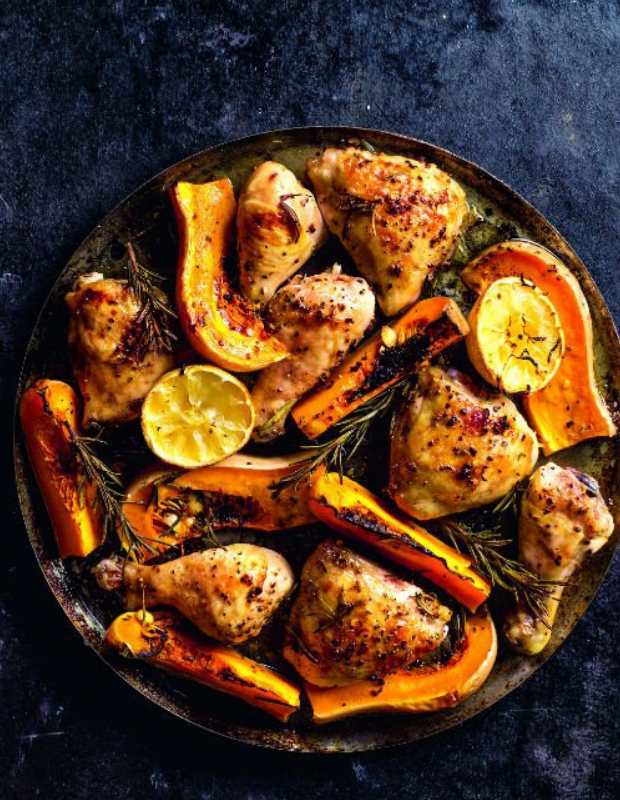 Enjoy the aromatics of rosemary, tender butternut and crispy roast chicken that takes less than an hour to cook! For those seeking more bold flavours, this mouth-watering Spanish-inspired dish is enough to impress a hungry crowd, with paprika and crisp white wine being the stars of the show. A beautiful saucy dish that screams comfort food. Pair with crusty bread, rice or your favourite pasta for the ultimate dinner feast. 12 amazing recipes to spice up your roast chicken. Everybody loves a roast chicken. Whether it's in the oven or on the trusty Weber, it's one of those meals that makes the world a better place. So, whatever the weather, we've put together some of our favourite roast chicken recipes for you.